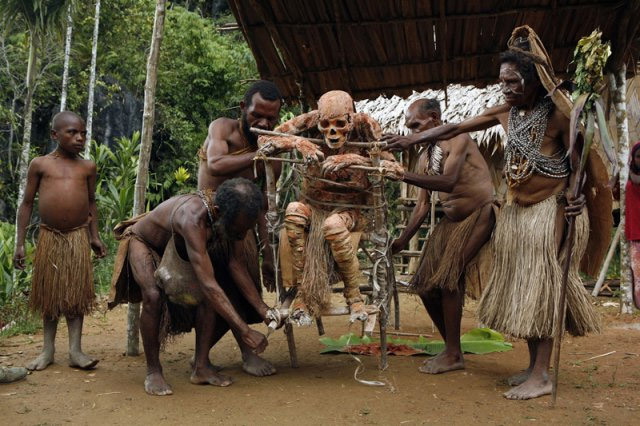 For hundreds of years, the Anga tribe in the remote, mountainous region of Papua New Guinea’s Morobe province has been practicing the ritual preservation of their dead with fire and clay. 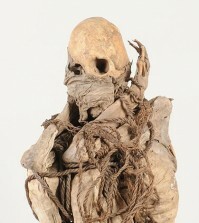 The first step in the mummification process, which the Anga call “smoked body,” is to cut open the body to drain the fluids, which is used to coat the hair and skin of relatives, as well as for cooking oil. 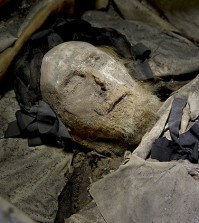 The corpse’s orifices are then sewn shut, a process which helps preserve the internal organs and, in turn, prevent decomposition beginning in the stomach. The tongue, heels and palms are cut off for the surviving spouse. 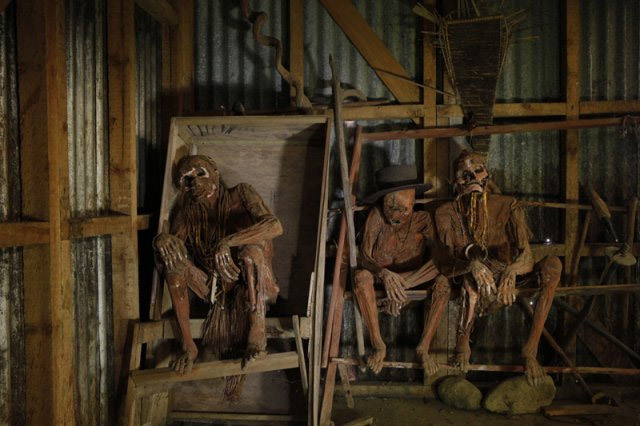 The clay-coated body is then smoke cured in a hut for over a month, slowly coaxing out bodily fluids to dry the remains and kill bacteria that causes decay. 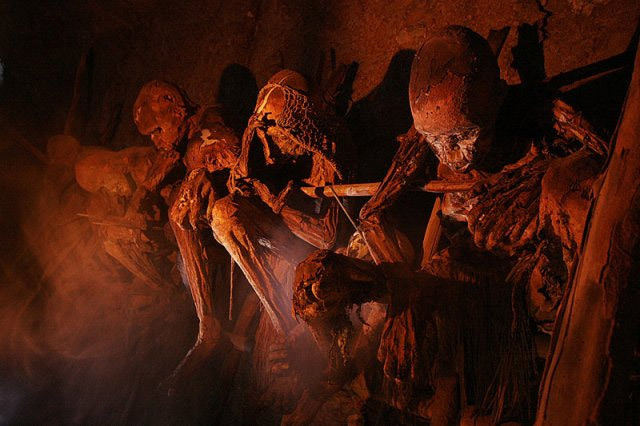 The bodies are displayed on a cliffside overlooking their people in the village of koke. 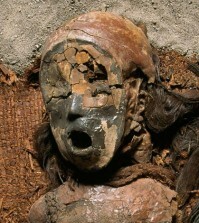 The Anga believe if they can still see the face of the deceased, then their spirits are still with them. 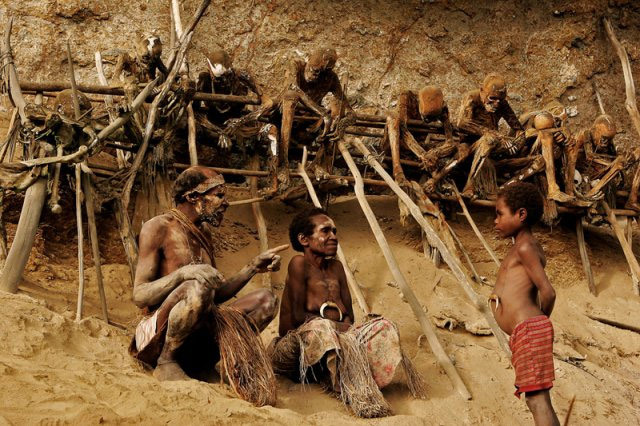 When the remains begin to deteriorate, family members will bring them back down to the village for restoration. Though Christian missionaries have tried to change the Anga’s ways, the tradition lives on.